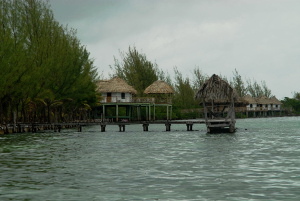 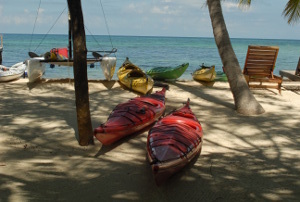 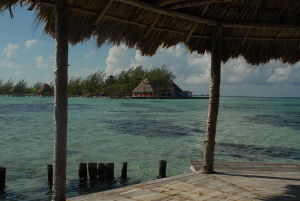 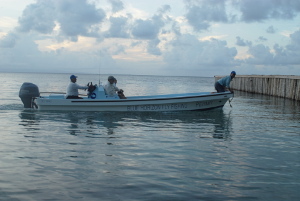 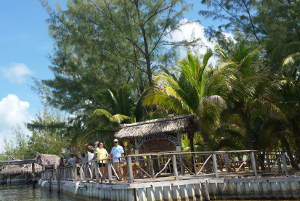 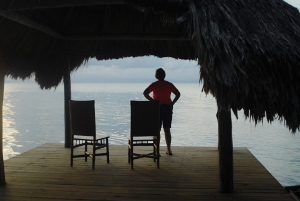 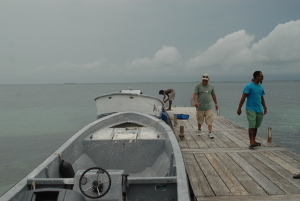 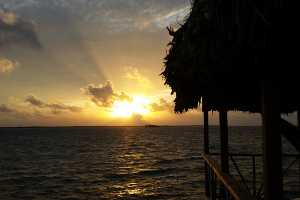 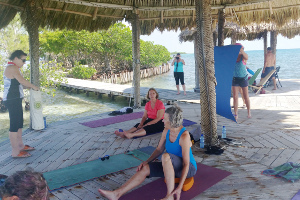 "We had a wonderful time on this retreat to Thatch Caye, Belize. 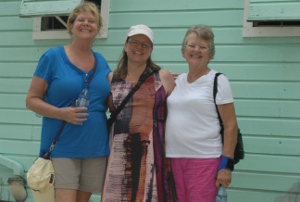 Despite a couple of travel hiccups and minor inconveniences of remote island living, we enjoyed the trip and are glad we came! 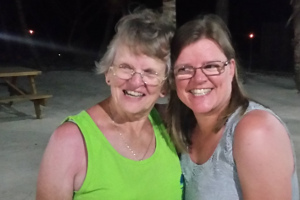 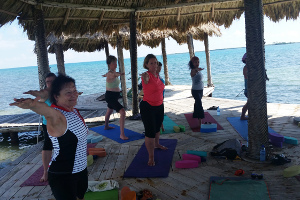 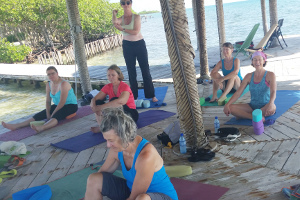 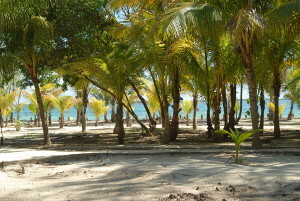 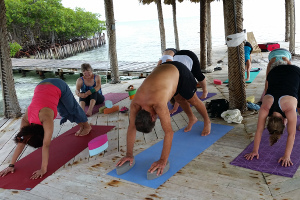 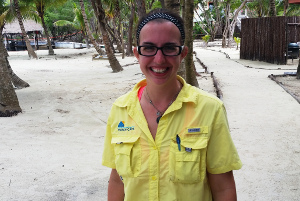 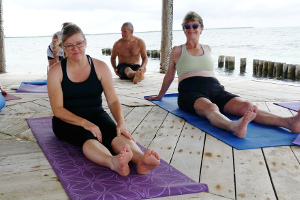 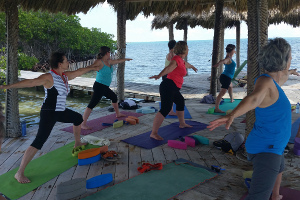 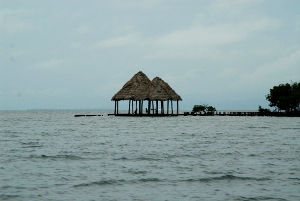 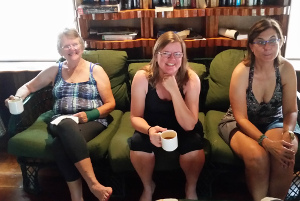 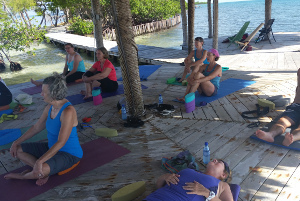 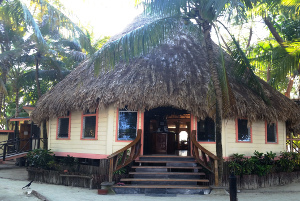 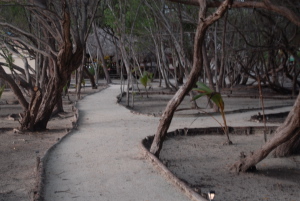 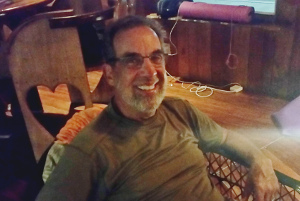 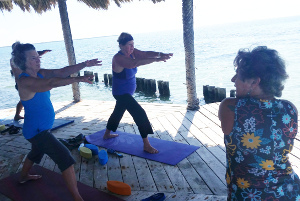 We met some wonderful people in the yoga group, and the staff at Thatch Caye was very friendly and accommodating. 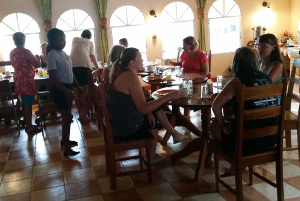 The food was fresh and delicious. 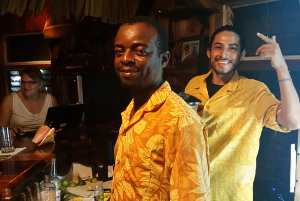 Our super friendly bartenders made creative drinks with local fruits and rum! 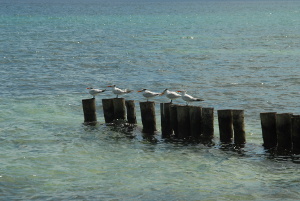 We loved that the trip was all inclusive, except airfare. 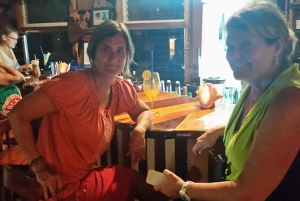 We wrote a check to FUNtasticretreats, and Lurie and Petra took care of everything! 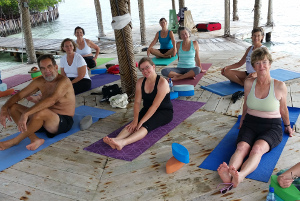 We hope to join them for another yoga adventure in the future!" 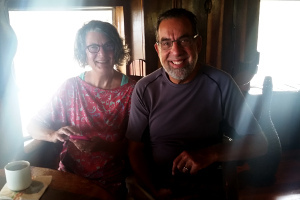 Julie & Jim B. 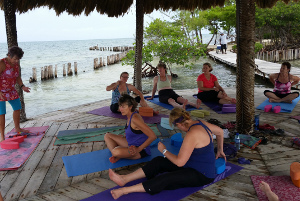 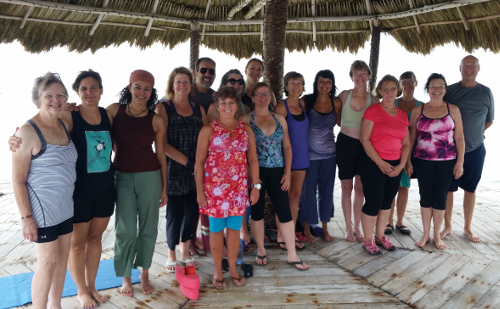 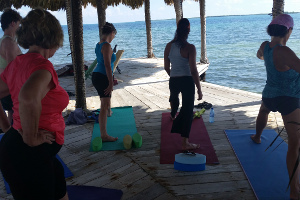 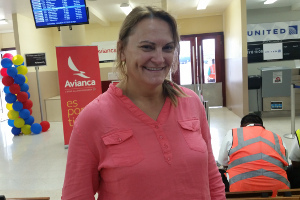 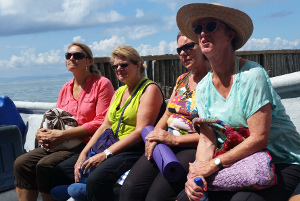 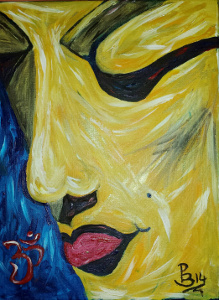 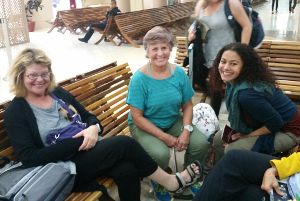 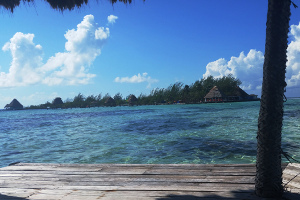 "The Yoga retreat to Belize in October 2015 was my very first experience with FUNtasticretreats. 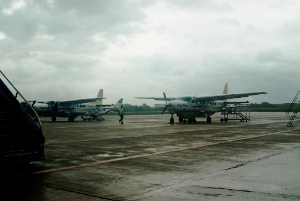 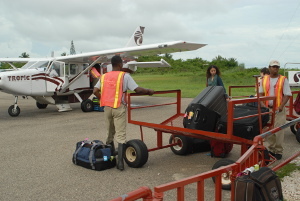 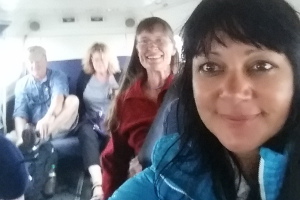 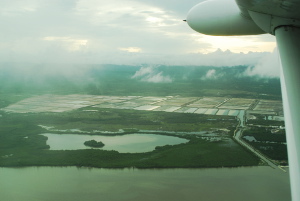 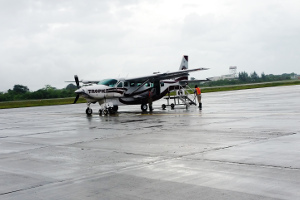 The trip via planes, van and boat was adventurous and well organized despite two separate flight itineraries within the group. 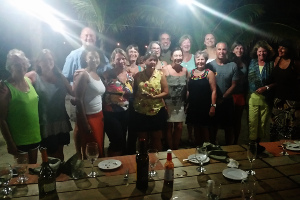 It helped greatly that they organized two social gettogethers prior to the trip to get questions answered and to meet future travel companions. 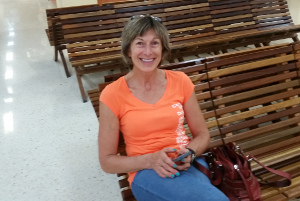 I was happy to get matched up with someone preferring an air conditioned room. 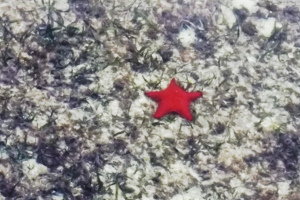 Little details like this can make or break a stay! 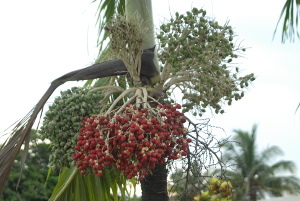 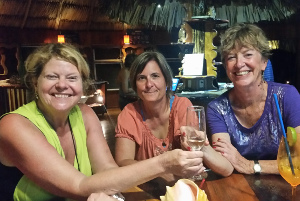 Life is clearly different on a tropical island! 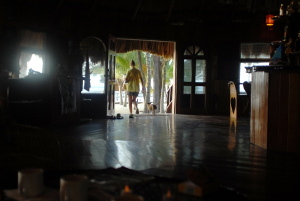 Lurie & Petra both helped me understand the uniqueness as well as the challenges that islanders have in managing their resort. 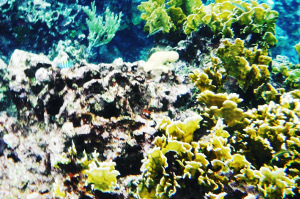 It is important to keep this in mind. 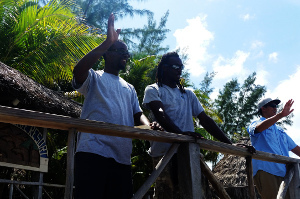 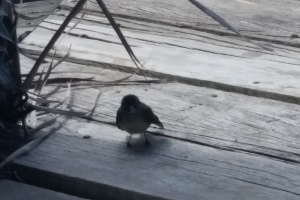 However, any and all of my and our needs were quickly addressed by them. 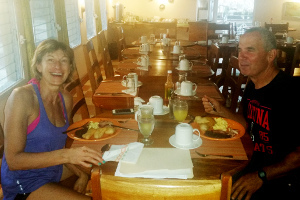 Lurie and Petra, and the genuine effort by the resort's staff and managers was greatly appreciated. 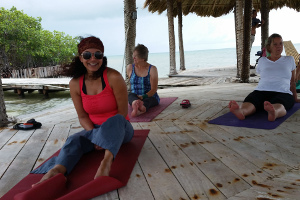 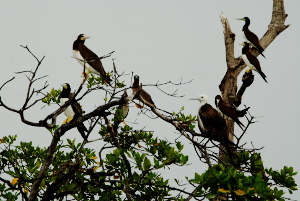 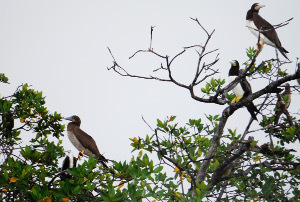 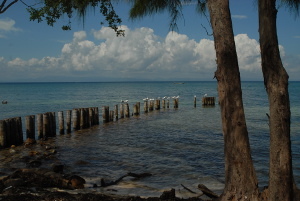 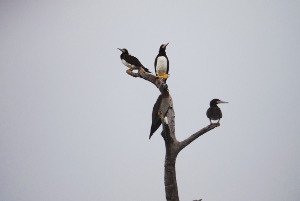 My vacation with FUNtasticretreats gave me the luxury of yoga classes on a platform above the sea and under a thatch roof with pretty little birds and Pelicans as onlookers daily and sometimes twice a day. 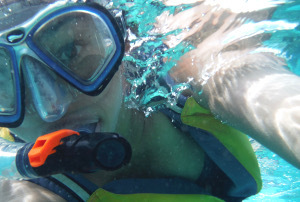 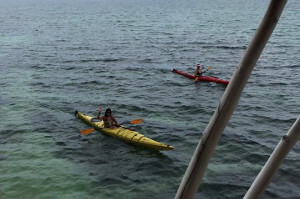 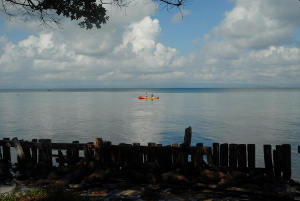 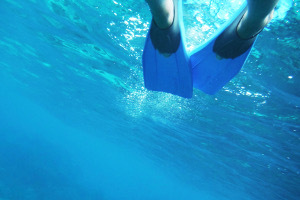 Snorkeling and diving trips were well organized; canoeing and paddle boarding added more fun yet. 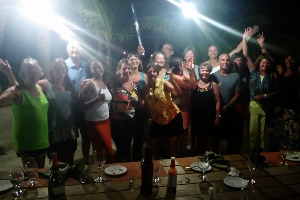 All in all we were spoilt with activities and equally well provided for with meals and limitless, wonderful tropical cocktails. 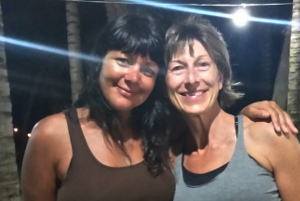 Lurie and Petra, thank you for such a memorable vacation; you made me feel safe and worry free, which provided total relaxation on a small piece of heaven. 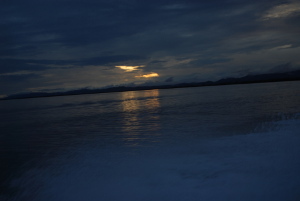 I will join you again." 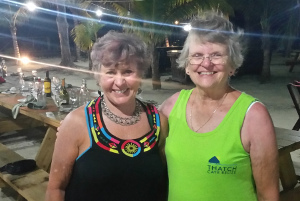 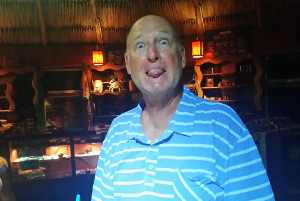 Traudl T.
"I had the time of my life in Belize with Petra and Lurie. 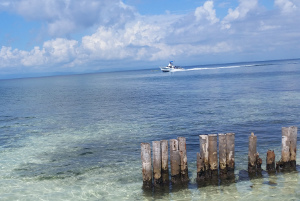 The trip was so hassle free and fun. 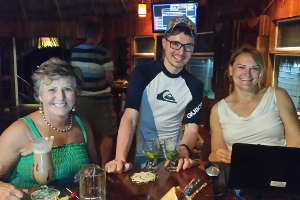 Those two provided the total package and I had to just show up and begin enjoying myself. 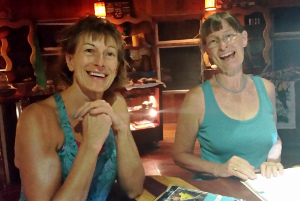 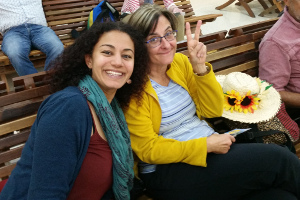 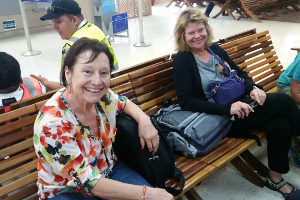 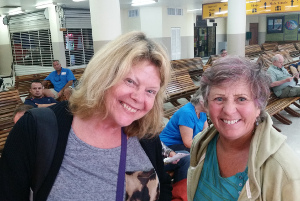 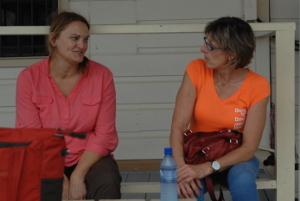 Petra and Lurie are great compliments to each other as travel and yoga gurus. 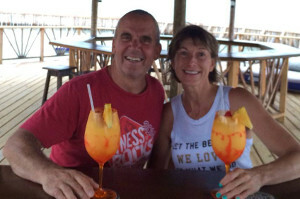 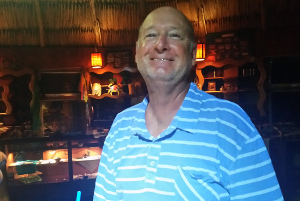 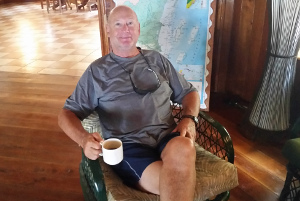 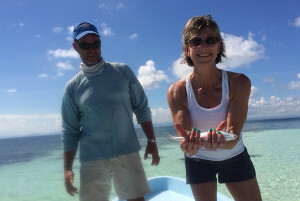 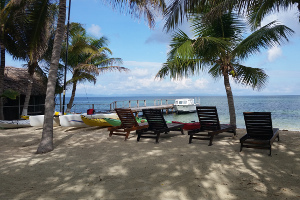 Thatch Caye was the perfect place to relax, play in the Caribbean, and enjoy great new friends! 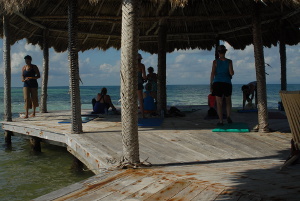 Daily yoga and scuba diving in the pristine setting was phenomenal. 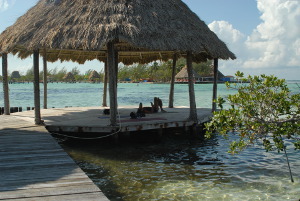 Walking to our palapa to practice over the water was something I 'll never forget. 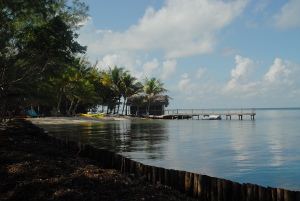 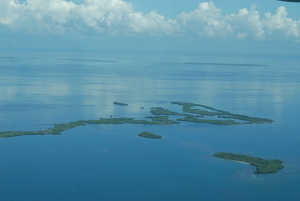 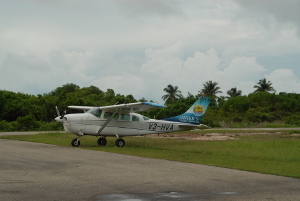 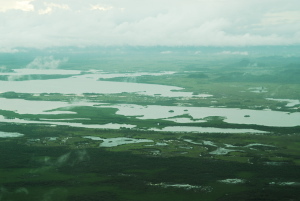 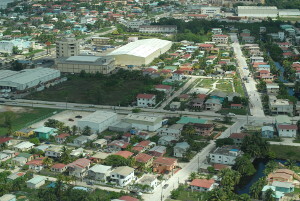 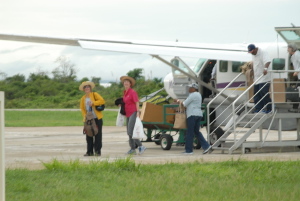 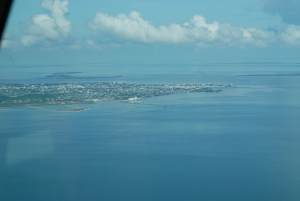 I had been to Belize 20 years ago and was glad to see it was still preserved and pristine. 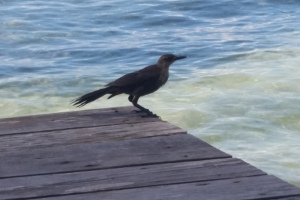 The staff at The resort were 5 Star. 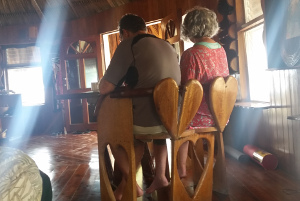 The managers were the sweetest couple from Texas, but all the others were local folks who were totally dedicated and hardworking and bent over backwards to take care of us. 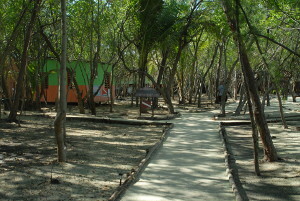 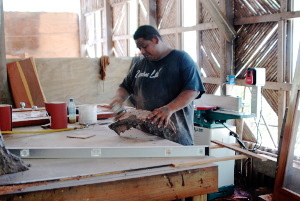 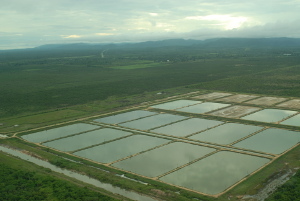 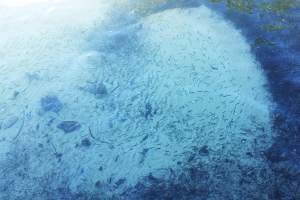 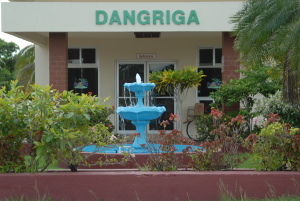 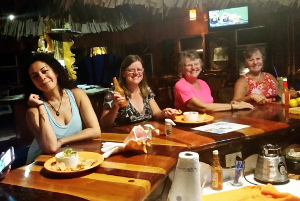 The fresh, delicious seafood, fresh fruit and prepared meals were unforgettable. 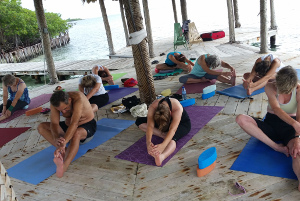 Even though the place was magical, service over the top, daily yoga made this vacation great, my fellow travellers were an amazing group of people. 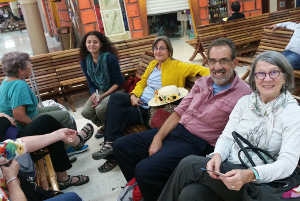 I knew only Petra when I began this trip, but after a week I had 16 new friends. 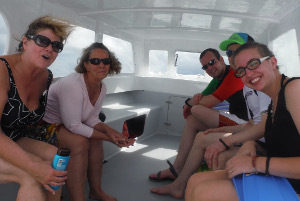 Everyone was a fellow adventurer and we all had so much to share with each other. 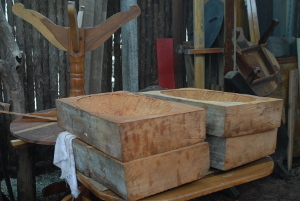 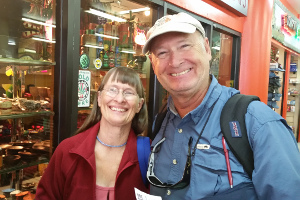 I plan on being a repeat customer and am looking forward to the next adventure." 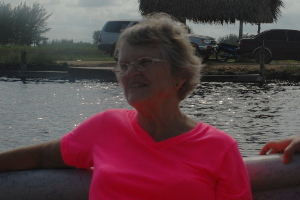 Mary D.
" I had the time of my life! 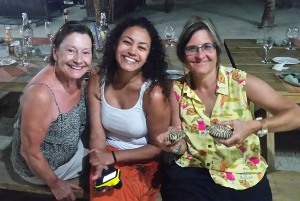 Met new friends.What a great time. 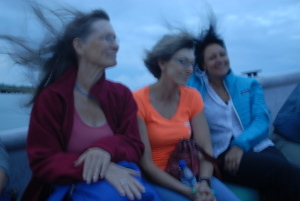 I don"t ever remember laughing so much.We were treated so well. 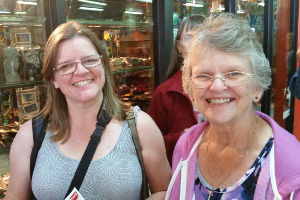 Everyone was very pleasant and.respectful. 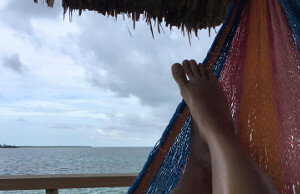 I would love to go again!" 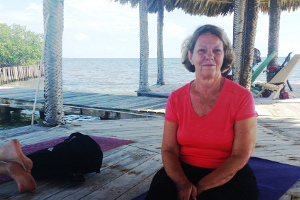 Anne C.
"This was my third retreat taken with Petra and Lurie and my husband’s second. 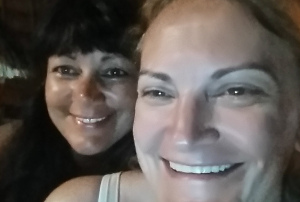 Again, a good time was had by both of us. 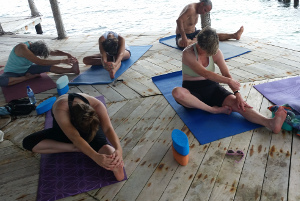 One of the things that makes these trips so great is the balance we are allowed to strike between relaxing, pampering, indulging and activities that keep us feeling healthy and fit. 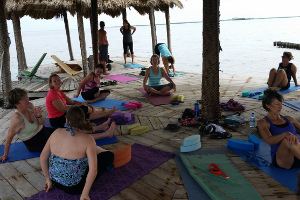 This trip offered the yoga we love. 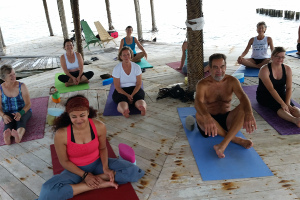 An experience we could enjoy together though our levels of practice differ greatly. 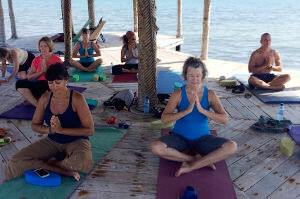 Everyone feels welcome and safe during the yoga sessions. 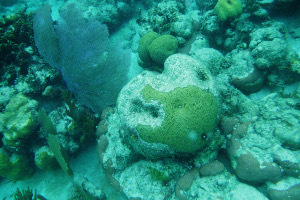 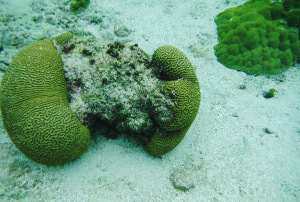 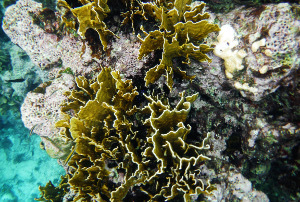 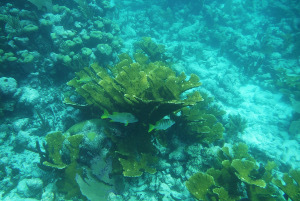 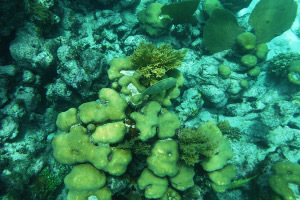 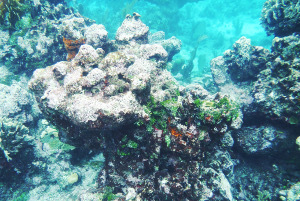 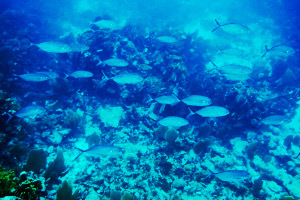 On the more adventurous side, we snorkeled on some beautiful reefs. 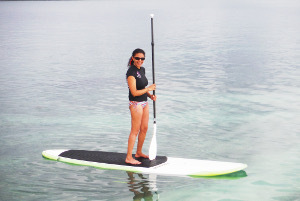 My husband got to fish and I conquered the paddle board. 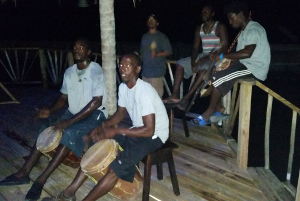 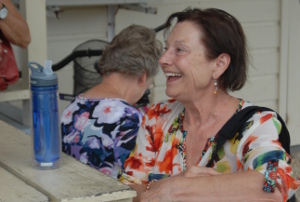 We also loved interacting with the native people who led us on these Belize adventures. 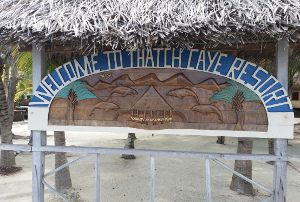 On the relaxing/pampered side the staff at Thatch Caya indulged us with three lovely meals a day as well as tropical rum drinks and snacks made by one of the most entertaining bar tenders EVER! 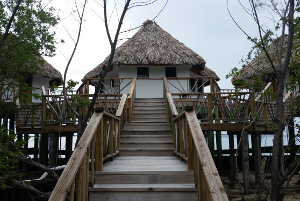 We were lulled to sleep each night in our own little bungalow perched right on top of the Caribbean. 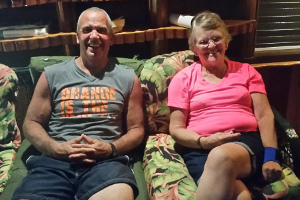 We left our screened windows wide open and enjoyed the fresh tropical breezes the entire night. 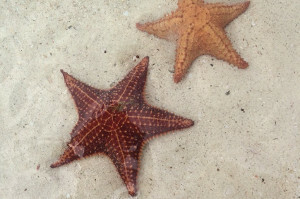 At times we were entertained by shooting stars and a full moon. 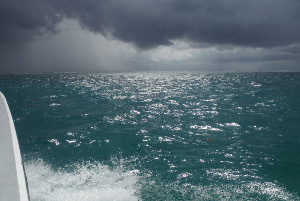 Other times we were treated to billowing clouds and bolts of thunder and lightening. 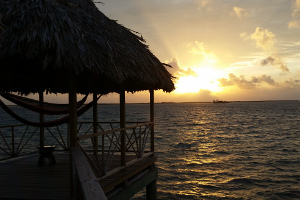 Our favorite was the sun rise right outside our window that could be viewed from our bed. 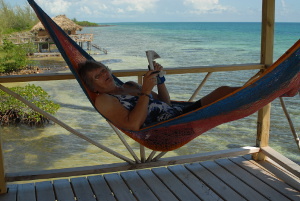 I didn’t even need to lift my head off the pillow. 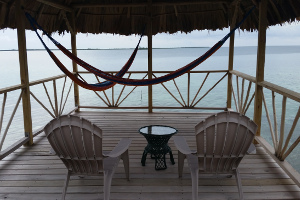 This was our first time in Belize and I can’t think of a better introduction to this tropical environment. 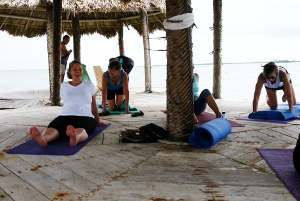 Both my husband and I are looking forward to sharing more Yoga Retreat Adventures with Lurie and Petra. 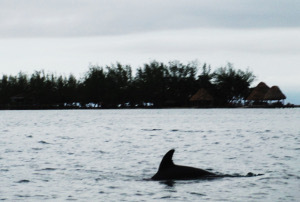 They make the experience relaxing, adventurous, unique and very special." 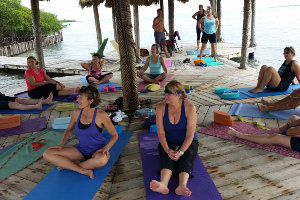 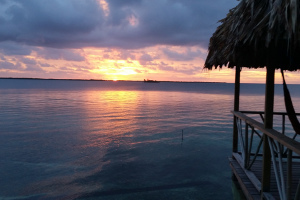 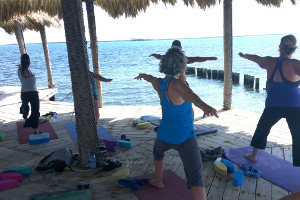 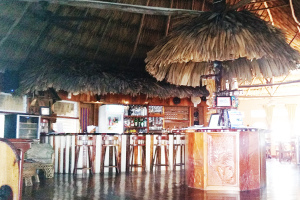 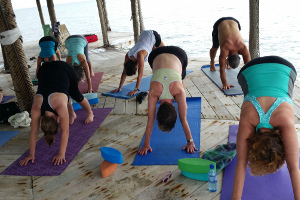 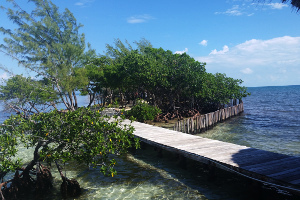 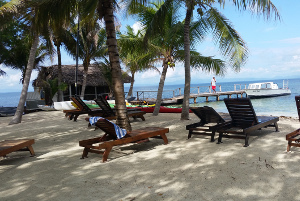 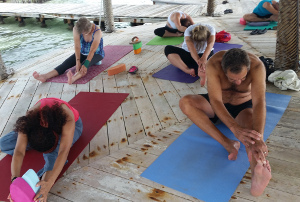 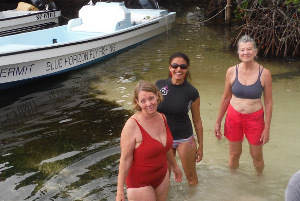 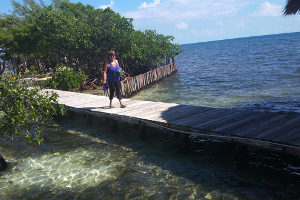 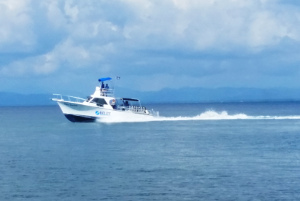 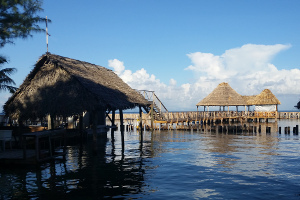 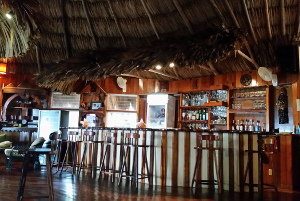 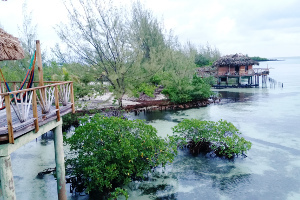 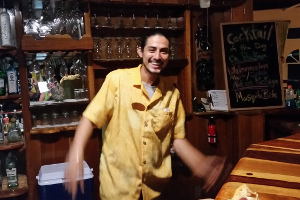 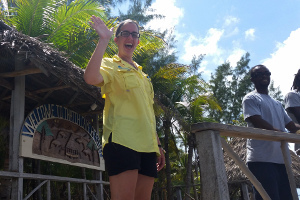 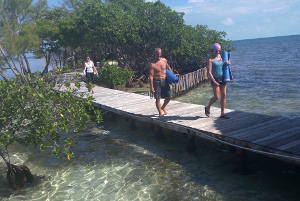 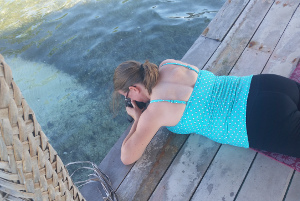 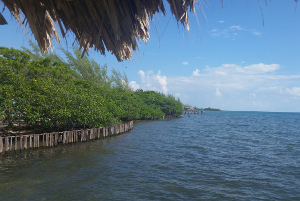 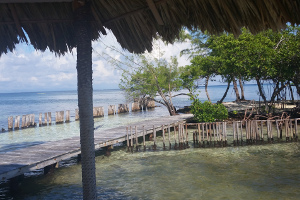 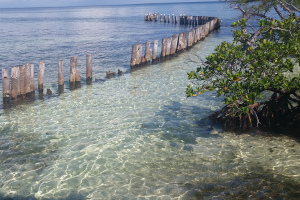 Barbara M.
"Belize – what a wonderful week spent in warm tropical waters and in such a beautiful place to relax, eat, yoga, dive, swim, paddle and prop up the bar. 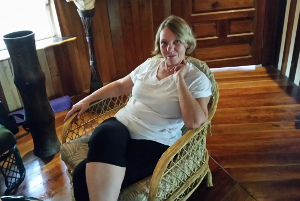 The logistics were perfect, I felt so pampered and taken care of every minute of the day. 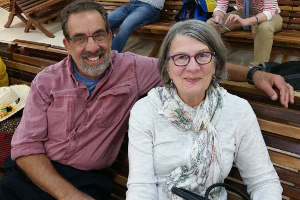 This was a wonderful trip in wonderful company and shepherded as always by Lurie and Petra. 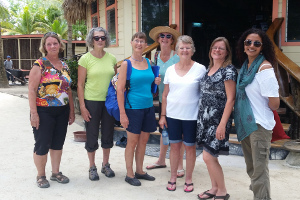 Congrads gals on yet another retreat that couldn't be beat!" 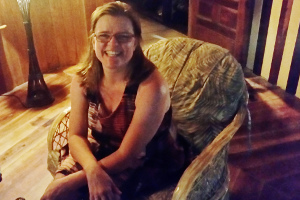 Julia L.